Contour 21 70cm projection hospital pattern back to wall rimless WC pan with horizontal outlet for ducts. 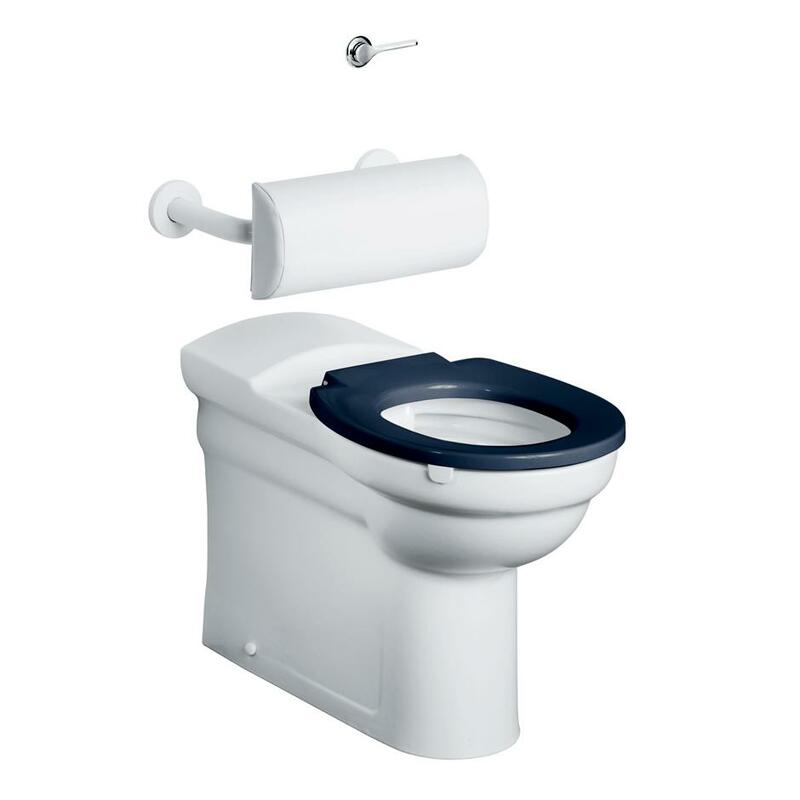 Plastic ring seat, no cover for fully enclosed seat holes on easy clean metal hinges, no raised height seat, no cover, no exposed fixings. For use by ambulant and ambulant disabled users.